Until fairly recently, the gaming industry and social media were separate entities. There was little collaboration between the two, given that each was intended as a distinct platform for their respective raisons d'être. However, the burgeoning power of the Internet as an entertainment, communication, transmission, and information dissemination resource has facilitated the dawning of a new-age. As the Internet of Things evolves, so too is the gaming industry. Perhaps the most definitive reason for the close correlation between gaming and social media is the immersive element that both provide. The games that players enjoy today are multiplayer attractions where the power of the Internet connects players all over the world. Players are more inclined to share details of their in-game achievements, challenges, and feedback than ever before, and social media is providing precisely the right platform for them to do that. Several notable events on the timeline have given rise to an interconnectedness between social media and gaming. Foremost among them is the social media juggernaut Facebook and its many popular attractions like Farmville, and Mafia Wars. These games were rather rudimentary – by today's standards – yet they successfully made the transition between seemingly disparate realms. It comes as no surprise that the social media powerhouse of the day, Facebook was looking for inventive ways of ‘monopolizing’ user attention and dissuading users from logging out and navigating elsewhere. Players fueled the fusion of social media and gaming through competitive behaviour. Game developers quickly realized that there was more to gaming than winning – players want to bask in glory by promoting themselves to friends, fans, and followers alike. Social media makes such opportunities available to players. Advancing through higher levels of play, besting the competition, and clearing difficult challenges are part and parcel of the gaming process. And then came an interesting development in the marriage between social media and gaming: freemium games. The concept of freemium is an interesting one; it allows players to play for free, but to pay for additional benefits designed to enhance their gameplay. For players looking for a competitive edge, freemium games are the ultimate attraction. Game developers quickly seized on this opportunity to roll out freemium games en masse. For serious gaming aficionados, these freemium games were like manna from heaven. Players can easily interact with one another, enjoying the benefits of freemium entertainment, as they ascend through leadership boards in various types of skill-based games. Of course, various concerns emerged along the way, notably the downside of using social media and gaming when each vocation already consumes so much of a user’s daily time. Marketing departments cottoned onto the concept years ago, and have rolled out many captivating games that can be shared via social media channels. We have seen tremendous initiatives set up by leading game providers, notably Blizzard, Nintendo, Naughty Dog, and even several popular online gambling providers. The increasing liberalization of online gambling has facilitated a boom in player activity levels, and social media is helping to drive that message home. For example, online casino games and online poker games are finding an audience with players. The immense popularity of major contests like the World Series of Poker (WSOP) was spurred by Chris Moneymaker’s spectacular run of form over a decade ago. That he won entry into the $10,000 Main Event through an online poker room gave rise to a throng of fans and a rebirth in online poker popularity. What Do Gamers Share on Social Media Profiles? Soundbites, replays, commentary, pre-rolls, and associated multimedia-functionality are routinely available with many games nowadays. Gaming fans are known to follow their favorite players on social media platforms like YouTube, Facebook, Twitter, Instagram, and beyond. As the world's premier social media sharing engine, YouTube features dedicated channels for professional players, many of whom are also the top-ranked earners on YouTube with millions of dollars in payouts annually. 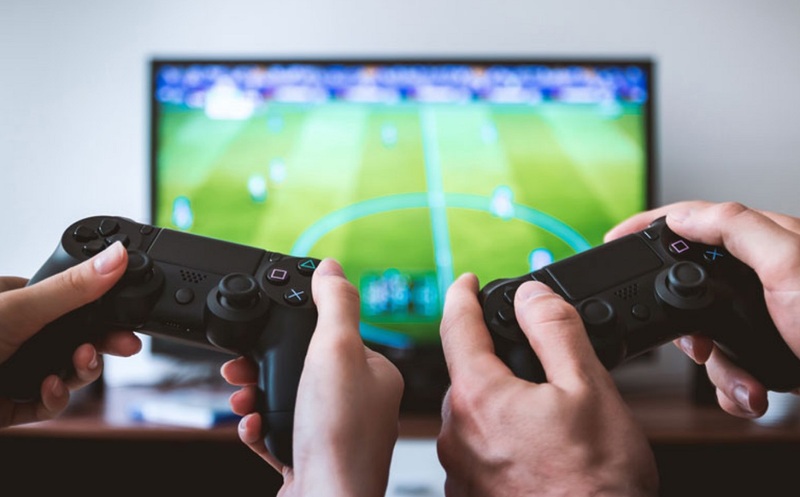 The ability of players to feature prominently on social media channels is another reason why social media and gaming are so inextricably intertwined nowadays. We see evidence of this throughout the gaming stratum. From interactive video games like Until Dawn, Grand Theft Auto, Mortal Kombat X, The Last of Us™, Batman: Arkham Knight, and The Witcher, to sports games, popular card games, and online bingo games – social media now reigns supreme. Gaming has had to endure multiple shifts over the years. Prior to the advent of social media, gaming was promoted by players in their gaming circles, typically in person. The Internet of things has fast-tracked information sharing by allowing players to market their gaming exploits via social media. This has the effect of exponentially increasing coverage and gains significant traction. Gaming companies alike are taking to social media to market news, reviews, commentary and game highlights to fans. Given that most everyone lays claim to a Facebook account, Twitter handle, Pinterest account, or G+, it makes sense that the gaming companies come to players on their home ground to market their wares. History indicates that social media titans like Facebook and Twitter have always sought ways of holding the attention of their registered members for as long as possible. Gaming on social media is a natural progression since this brings the best of both worlds to the fore in one powerful all-encompassing social platform. Read Next: The History of Gaming (infographic).